Glaucoma is a branch term for a group of eye disorders that damage the eye’s optic nerve and retina through high intraocular pressure. It is currently the 2nd leading cause of blindness and the risk for it can be increased with age. Glaucoma is know as the “silent thief of sight” because many are unaware that they even have glaucoma and if left untreated, it will cause blind spots in a patient’s field of vision. 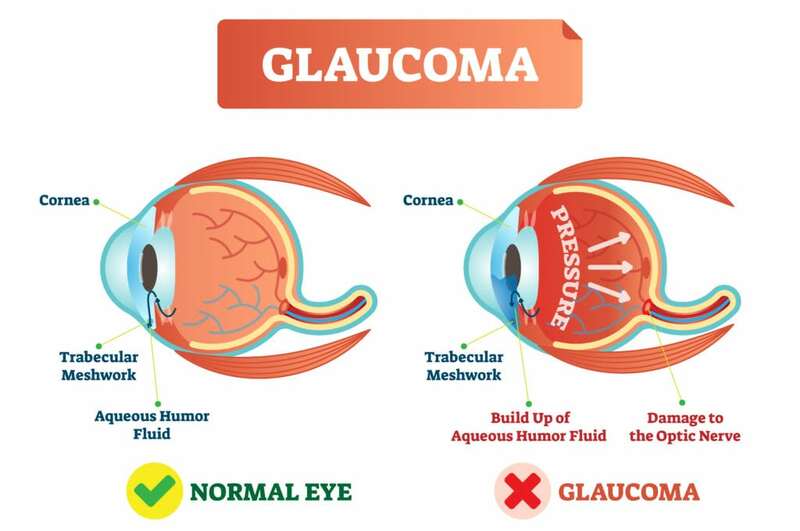 There are two kinds of glaucoma that can develop: open-angle and angle-closure glaucoma. Open-angle glaucoma is difficult to detect in its early stages because there is a gradual change in vision that can go unnoticed until a monumental amount of vision has been lost. Normally, peripheral vision is the first to be lost, followed by a patient’s central vision. If left untreated it can lead to total blindness. Headaches and trouble seeing at night may be symptoms that accompany this kind of glaucoma. Patients who experience more noticeable symptoms like severe pain, nausea, and blurred vision may have developed acute closed-angle glaucoma. This type of glaucoma needs to be treated right away to prevent severe permanent damage to your vision. Glaucoma can usually be detected during a routine eye exam. However there is not yet a cure for glaucoma and vision cannot be reversed, but there are many treatments that can help patients prevent it from getting worse. Think of glaucoma as a fever that never goes away and you must learn how to manage it. This is why regular, routine eye exams are important for those at risk and people over 35. The most popular treatments to manage glaucoma are having surgery to lower pressure in the eye, taking medication to help lower the production of aqueous liquid in the eye, or Minimally Invasive Glaucoma Surgeries (MIGS), which reduce the dependency on eye drops and medication. The goal is to control the intraocular pressure, to keep it from getting worse. If someone has unnatural high eye pressure (ocular hypertension) yet no signs of eye damage, then these type of patients are “glaucoma suspects”. They have a higher risk of developing glaucoma later on and should be carefully monitored by their ophthalmologist. To find out more about glaucoma or its treatments, call Kerrville Eye Center today to schedule an exam!